Busy bags are fantastic to have on hand for quiet time, waiting rooms, church, etc. I like to have fun themed ones to take out for different seasons. 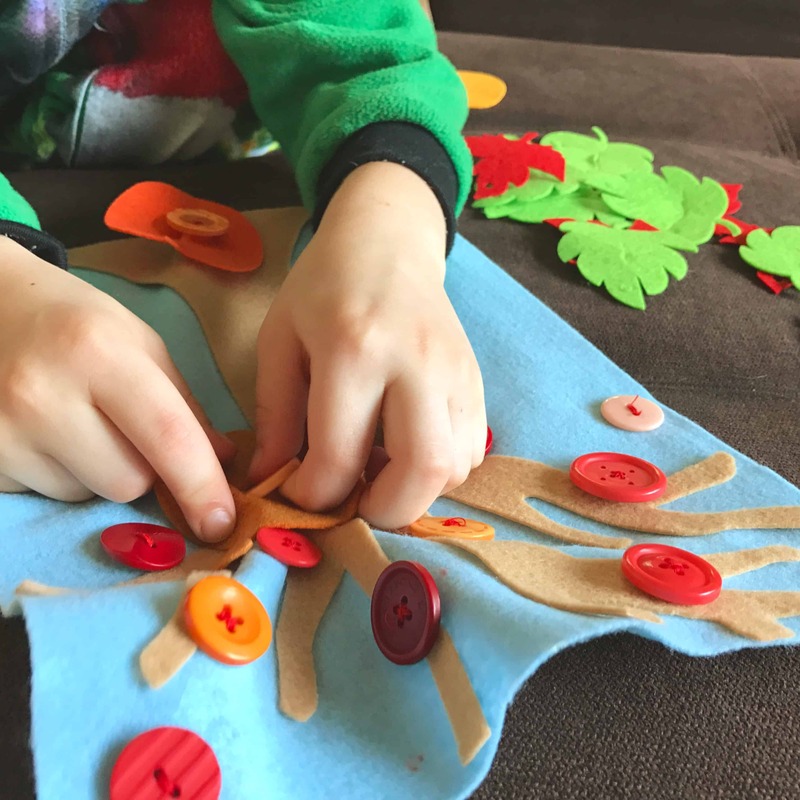 This button practice busy bag practices and encourages fine motor skills, while allowing for some creativity and imagination when decorating the scene. Trace a tree shape on the back of the brown felt and cut it out. Stick the brown tree to the blue felt to create a scene. Sew some buttons on the tree and in the sky where the leaves will be. 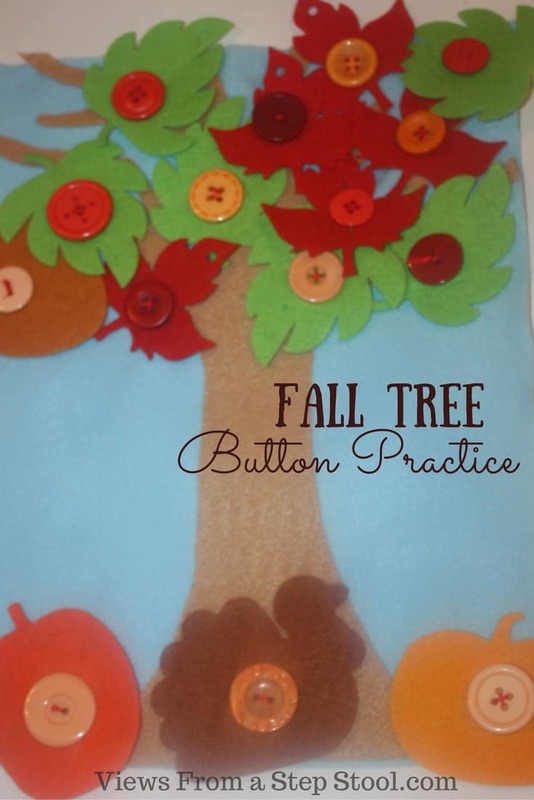 Sew some buttons on the ‘ground’ for fallen leaves, pumpkins, etc. Cut a slit in the felt leaves so that they can be buttoned onto the tree. You can roll this scene up and stick it in a ziplock bag to take with you! Buttoning is not only great for fine motor skills, but is also great practice for learning to button coats, pants, etc. Let your children get creative with where they place the leaves, how they layer them on the tree, or whether or not some of them have fallen on the ground. 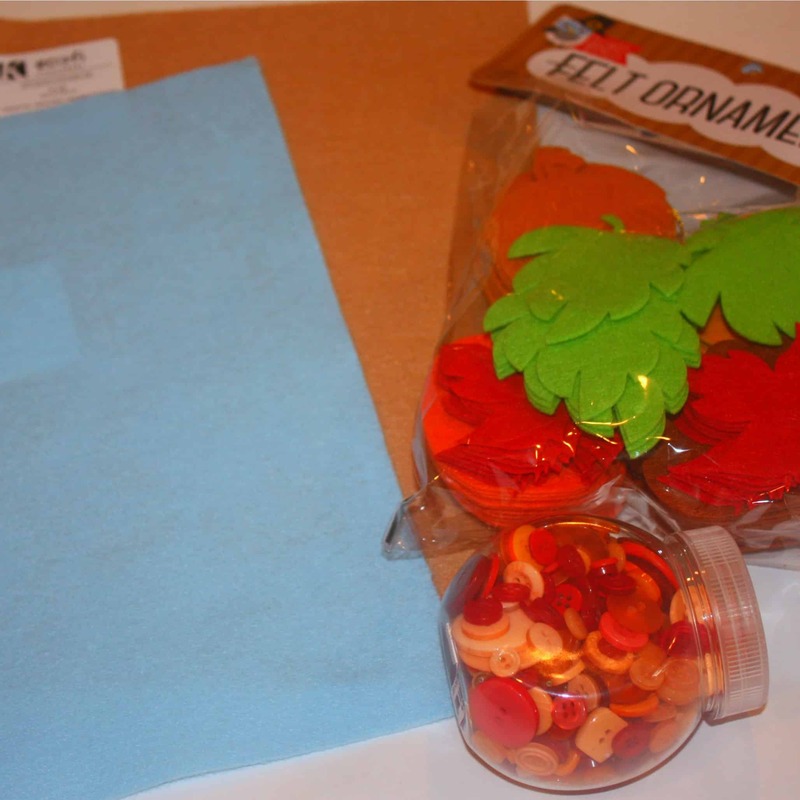 Additionally, cut out pumpkins, acorns or turkeys for added fun to your fall button practice busy bag! 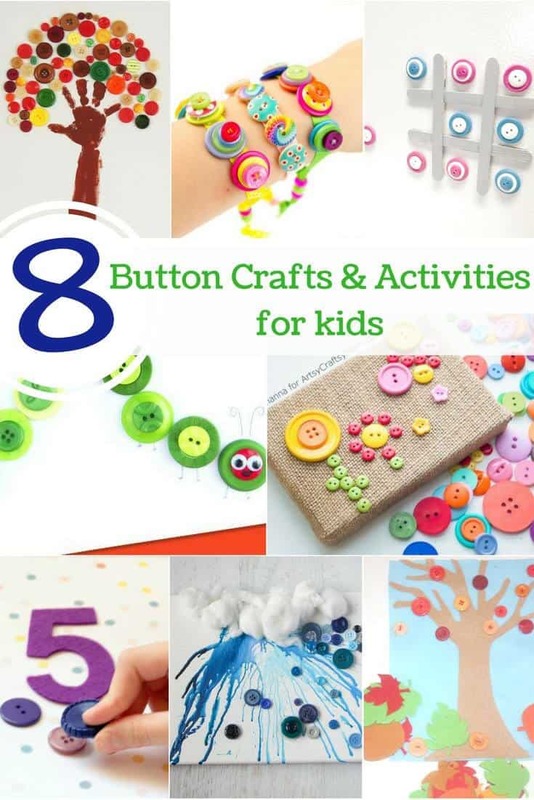 Check out these other awesome button activities!